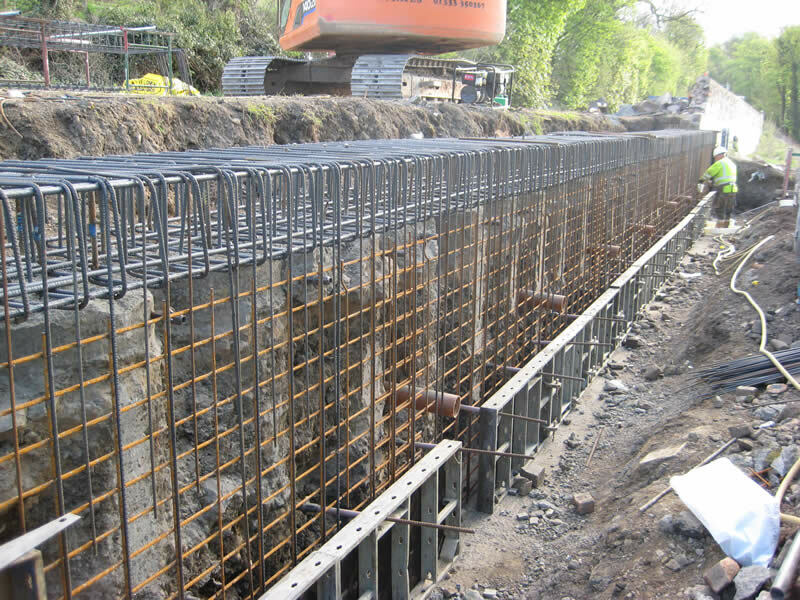 DAWSON-WAM were appointed as main contractor to undertake the installation of a contiguous piled retaining wall to stabilise and reinforce a section of the A921 between Aberdour and Burntisland. The road was constructed on a steep embankment prone to subsidence/slippage and was in danger of failing. 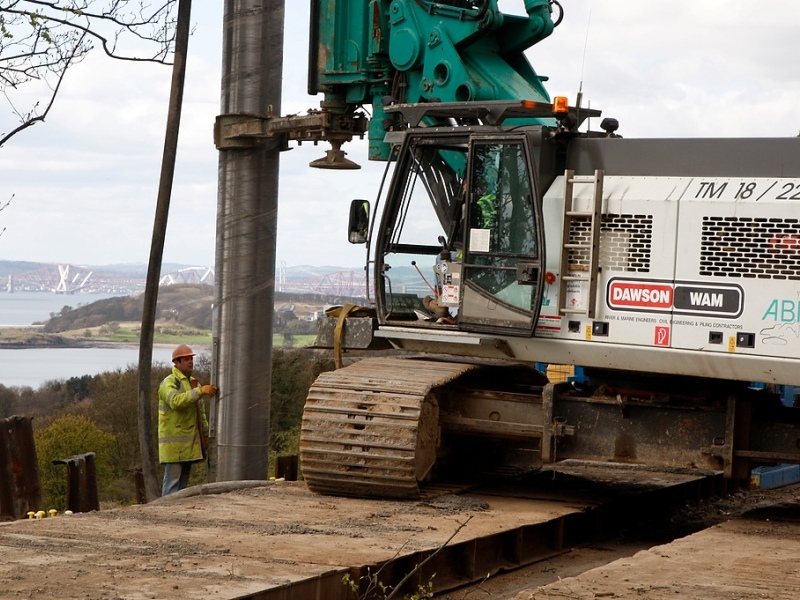 DAWSON-WAM submitted an alternative tender proposal to install 600mm diameter contiguous piles, 8m in length, socketed a minimum of 2.1m into the underlying basalt and sandstone strata to retain and strengthen the road. 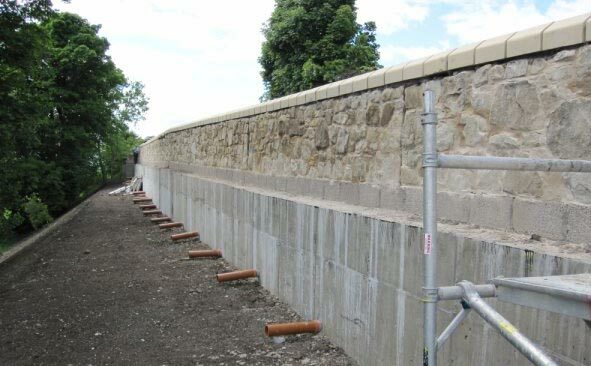 A reinforced concrete capping beam was constructed on top of the contiguous piled wall with a 1.5m high masonry stone wall to form a crash barrier. Additional works included the installation of drainage to enable the passage of groundwater through the contiguous piled wall to prevent surcharge loading, together with the re-surfacing of approximately 0.5km of carriageway and associated landscaping. 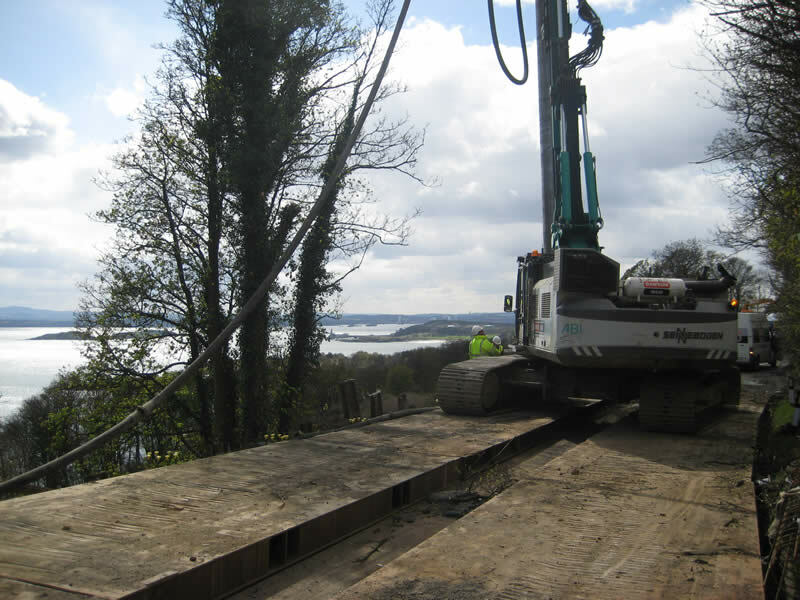 The contract was estimated to take 15 weeks but DAWSON-WAM were able to achieve completion after only 9 weeks enabling the road to be re-opened 6 weeks ahead of schedule. 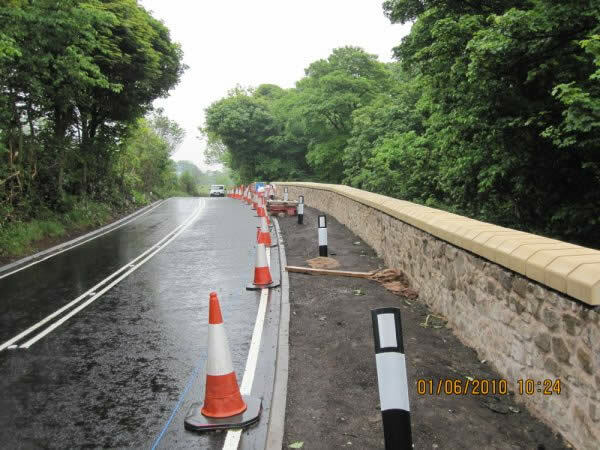 DAWSON-WAM were complemented on their quality of workmanship and ethic by Fife Council as well as receiving several letters of commendation from local residents and businesses.